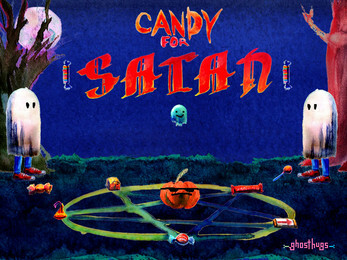 Gather hallowe'en candy for Satan by stashing it in your pumpkin - but watch out for those jerk teenagers! Drawn in watercolours, collaged into a game, with sinister hallowe'en music composed just for the game, this is a truly magnificent adventure you're sure to enjoy! This is a single file download, so grab the .exe and have fun!